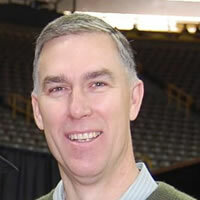 John Jepsen is the Director of Energy Management for U.S. Foodservice. His work focuses on reducing electrical usage at USF facilities across the United States through capital projects, alternative energy sources and operational changes. He also manages the U.S. fuel program for USF's truck fleet, the fifth largest in the nation. Before joining U.S. Foodservice, John was Executive Vice President, Operations for a Chicago-based manufacturer specializing in large part plastic blow molding. John received a Bachelor of Science in Electrical Engineering from the University of Wisconsin-Madison and a Master of Business Administration from Roosevelt University in Chicago.